Property 6: Lake front lake cottage (Dordogne). 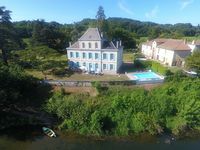 Beautiful family chateau, heated pool, 6 acres of gardens. Dordogne. 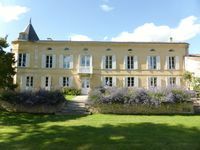 Property 29: Beautiful family chateau, heated pool, 6 acres of gardens. Dordogne. Sleeps 14. Swimspa, jacuzzi, HEATED pool, vineyard views, Wifi, baby-friendly! Property 38: Sleeps 14. Swimspa, jacuzzi, HEATED pool, vineyard views, Wifi, baby-friendly! This was a fantastic place to stay while enjoying St. Emilion, Bordeaux, the Medoc, and the Dorgorgne. The property is beautiful, house is tastefully furnished, with well-equipped kitchen. Overall, would highly recommend and hope to come back again someday.